Disclaimer: Although I am a millennial, I don’t want to be misconstrued as a voice of a generation. I’m just a guy who falls into a demographic speaking his mind. We have to ask ourselves, how? Were millennials successfully able to bend the fabric of reality itself, turn every note G into a G#, causing chaotic dissonance in all the songs we know and love, thus ruining music forever? I’m kidding but imagine how awful that would be. But one a serious note, the millennial generation has been widely attributed to the downfall of the music industry. If that’s what we’re talking about then we definitely ruined that. lol. Or did we? The usual suspect is the increase in piracy and illegal downloading of music. This supposedly ruined music. I can argue that it did the contrary and HELPED music evolve. Digital delivery of music made music the most accessible it has ever been in human history. On a fundamental level, musicians want their music to reach and connect with as many people possible. Often, money acts as a barrier to that transaction. Is someone to be restricted from the pleasure of listening to music simply because they can’t afford it? Don’t get me wrong, I still purchased music to support artists and their overlords, but it gave me comfort knowing that anyone could find the song and listen to it (even if it was a dreadful mp3… how many people were pirating WAV, AIFF, or FLAC at those internet speeds?). You could even go as far as to say that millennials not only freed the access to music but the artists themselves. Downloading music starved the corporate machines that reaped profit from musicians and their art, often at the neglect and mistreatment of both. With the clutches of labels and management loosened, artists could create with lesser bounds and pressures. 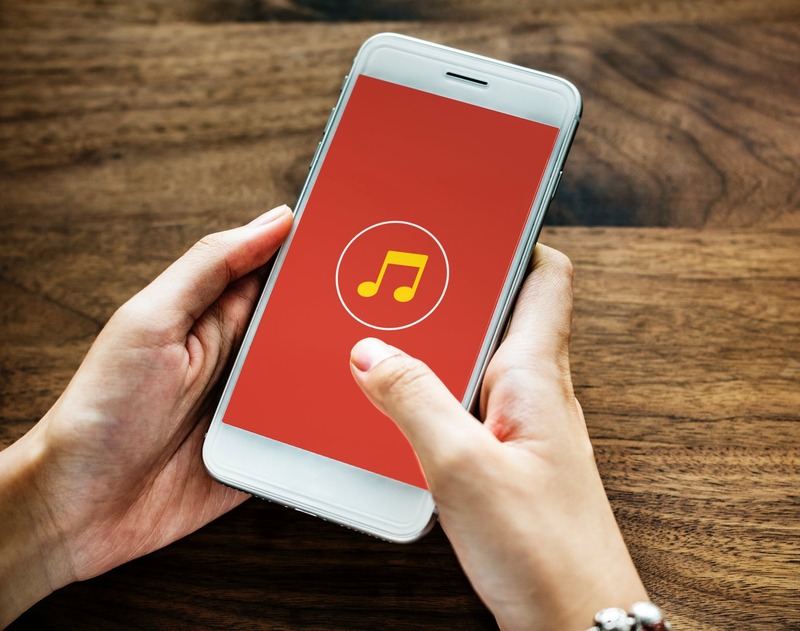 Those who attribute the downfall of the music industry to millennials are simply ignoring that the industry used outdated business models to combat an evolving environment. It’s basic Social Darwinism that our economic system rests upon. I don’t see anyone on a horse and buggy on the 405. Things are changing as they always do. Now hold on and relax, before anyone gets too heated about this millennial doing what millennials do, I’m going to explain how millennials RUINED music too. Aside from the assumed implications of the collapse of an industry (unemployment, poverty, and all other economic consequences), I’m going to look at the ways in which music suffered. As much as millennials want to uphold the utopian belief that money should be abolished, we are keen enough to see that it drives people. More often than not, wealthy people became wealthy due to hard work and determination and end up surrounding themselves with the same caliber of individuals. This is true within the sphere of music as well. There are a few exceptions of talentless individuals rising up the ranks, but for the most part in music history (pre-Millennial downfall that is), musicians who had successful careers were among the best. These artists had talent, assets, and corporate backing: Access to the best equipment, spaces, musicians, and minds in the world. Music that came out of this sphere was of the highest quality. If people were to buy these records, they were expecting a masterpiece from the masters. The music industry supplied good music with good teams that made this happen. This marriage between proper management and talent has slowly dissipated as money strayed away from sales of music itself. Records used to SELL, especially the good ones. Due to the shift to illegal downloading and streaming, the industry lost the incentive to invest in producing top-quality records. Now, the music is used as an attention grabber for other sources of profit. Sponsorships, merchandise, ticket sales, etc. Rather than a painting on the wall of a museum, it has become a billboard on a busy street. Without a financial hierarchy in the music industry, the playing field has been leveled. Or has it? With the advancement of technology, affordability of music production, lowering the standard of quality, and outreach of the internet, almost anyone can create and put out music. This leads to the problem of over-saturation. There is TOO MUCH music out there. Even if someone has genuine talent that could take the world stage, odds are they will be drowned out by the artists that are simply loud. These days, unless something has ventured lengths away from the mundane, it won’t catch the attention of anyone (especially with our dwindling attention spans). There are many characters in music now that are famous for being over-the-top. Their music is secondary to their personalities. You could argue that it has been like that for a long time but I think the shift has been quite substantial in recent years. There are still great artists making great music that are receiving similar support as before, but far less. There is so much trash out there that trying to find decent music is like looking for a diamond in a landfill. 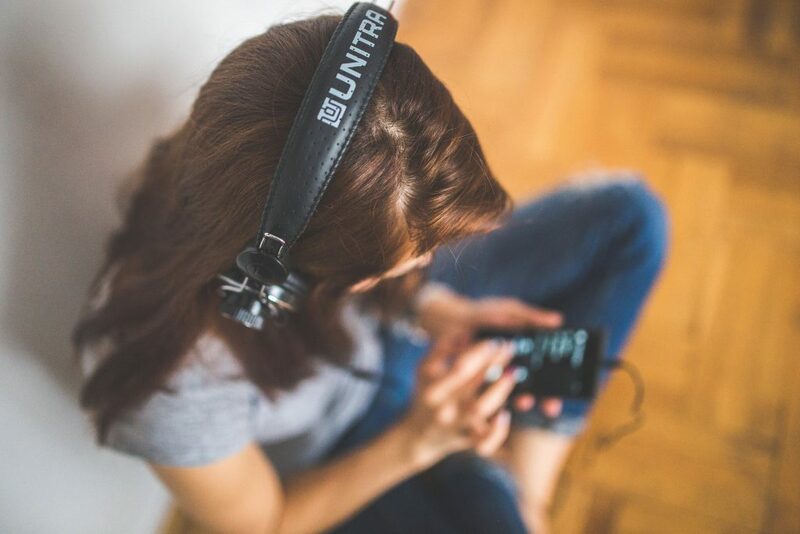 Many of us millennials are turning back to the music of older generations to find quality repertoire. 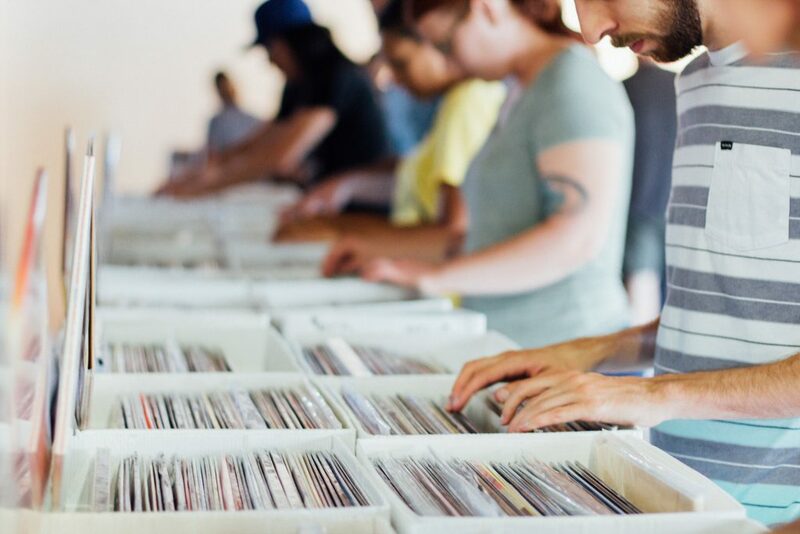 There has even been a resurgence of vinyl sales. People are not only yearning for good music but also the physical manifestation of it. There is something very lifeless and insignificant about streaming. This whole thing feels very Hegelian to me. 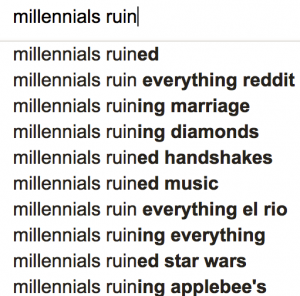 I do not believe that millennials as a generation ruined music. In the end, it’s a byproduct of changing circumstances that we all got caught in. I am extremely curious about how music will continue to evolve and change. It is such a dynamic question that I don’t think it can be truly answered in any one way as there is so much subjective interpretation that goes into it. Just ask yourself: What will we be listening to in 50 years and how? Let imagination run wild. If you disagree, want to discuss, or shed light on the matter, please leave a comment here. I do not claim to have the complete truth as this is derived from my own frame and understanding of the world. I would love to learn more!